Parasitic infestation increases in summers as the heat and humidity fastens their process of hatching. Of all the seasons, your pets may need the strongest of tick preventives in summers. Many pet parents look for natural remedies of repelling ticks throughout the year. Though it is good, but these ideas may not give you an assurance of keeping your pets safe from ticks. It is very necessary to shield your pets from these ectoparasites with tick preventives especially in summers. What would happen if you don’t use tick treatments for your pets? The need to use tick preventives for your pets is acute in warm climates. It is a misconception that your pooch may be infested with ticks only from outdoors. Your house’s temperature can also be favorable for tick infestation and eventually they may crawl up your darling’s body. Ticks attach to the pet’s body with the help of their mouth parts. They insert these mouth parts and release glue like liquid which helps them to stay attached to their host. After making their position immobile, they start feasting on your pet’s blood and usually don’t move from there. The area on which they are stuck becomes red and itchy. If your pet is not treated with parasitic controls, they might lose a lot of blood. 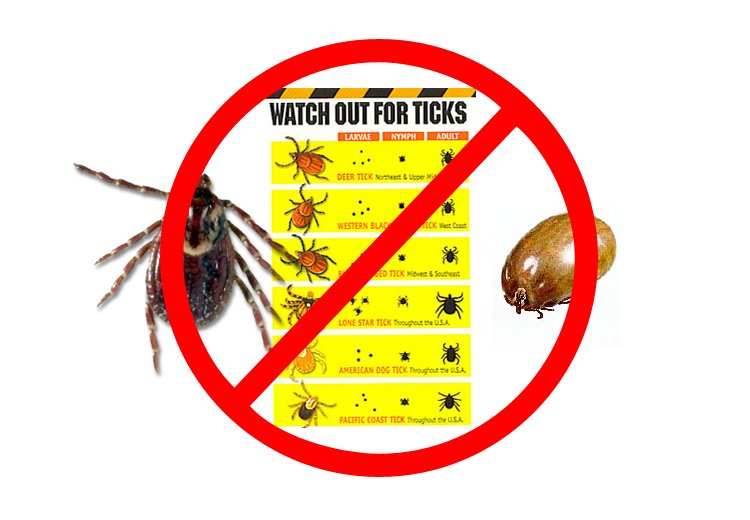 In case of ticks, it is better to prevent them rather than looking for cures later. If once they catch a hold on your pet’s body, they may consume enough amount of blood to cause anemia in pets. Certain female ticks produces toxin while feeding on their host’s body which may cause paralysis in dogs in rare cases. Apart from paralysis, ticks can cause various diseases like Lyme and rocky mountain spot fever. Pet parents are generally aware of Lyme disease that is spread through deer ticks. If your pooch gets infected with Lyme disease, you may observe arthritis, swelling of joints and lameness in them. Rocky mountain fever mainly causes fever in pets along with lameness and other signs. It is recommended to visit your vet if any of these signs are observed in pets during summers. To shield your pets from these hazardous conditions, it is necessary to treat them with a suitable tick treatment. Frontline Plus is one of the most trusted names among tick prevention controls. You can also choose to block ticks from crawling on your pet’s body with tick collars that has the ability to repel these parasites. In all, it can be a big mistake not to treat your pets with tick preventives. So, gift a healthy and tick free summer to your pets by using suitable tick controls.